Northeastern University in Boston is indoctrinating its students with the erroneous belief that “whites cannot be oppressed” because they are white, reported The Daily Caller. 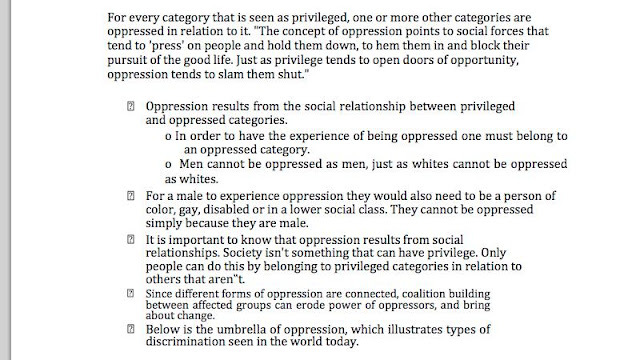 According to this ludicrous university guide, one must belong to an oppressed group in order to be oppressed, meaning that white people and everyday men could never under any circumstances be the victims of oppression. 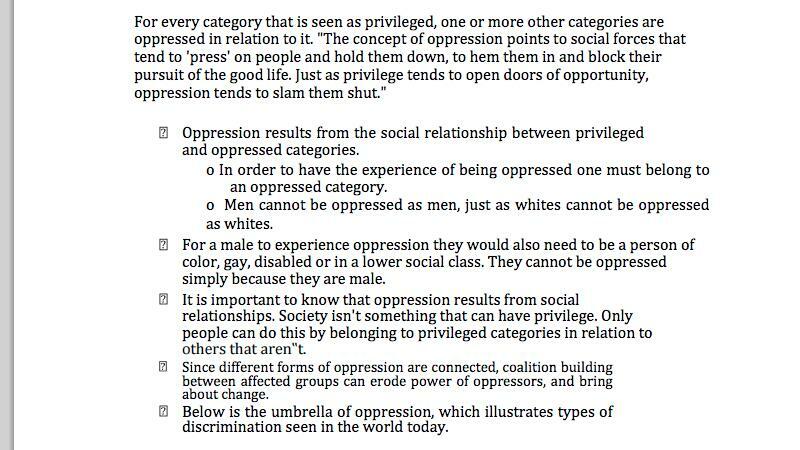 Keep in mind that this marvelous load of crap comes from the same university that refers to “M/F checkboxes on forms” as an oppressive act (H/T Campus Reform). 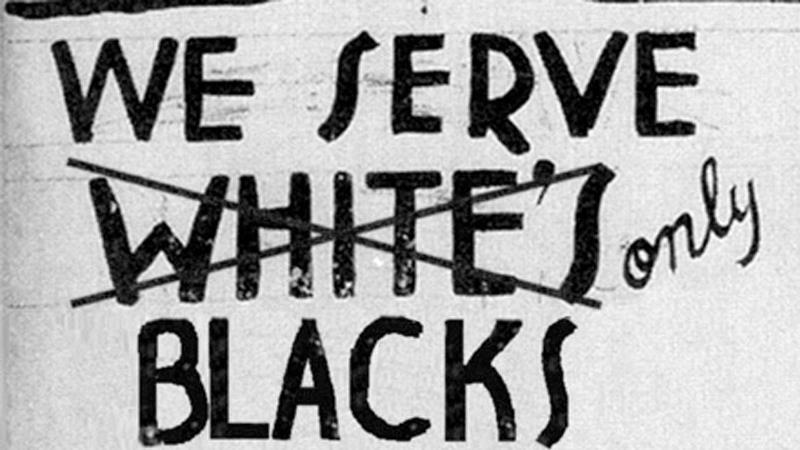 Mind you, it does fit with the liberal belief that racism runs one way — that historical victims of discrimination, oppression and racism are somehow incapable of delivering the same sort of treatment to their former oppressors. It’s a ridiculous belief based on absolutely nonsense, but hey, what about liberalism isn’t nonsense! ?